With the exception of the Jonah Hex stories (in none of which does Hex appear in) these all pre-date Showcase Presents Jonah Hex and there is nothing in the books that mean it can’t be placed before it. true, but those couple stories take place “after” so it seems to make sense to place it there. 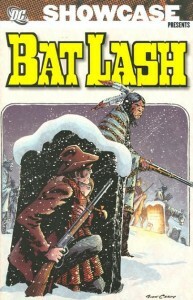 I kind of like Showcase Hex as the introduction to the dc westerns, too, since it’s just such a good book. Fair enough, I was just looking at it in trying to place Loveless, which is probably best in between SC Batlash and the first modern Hex. yeah, I’ll probably get to placing that in tonight.